An overheating phone is bad news for your battery life, your palms and the internal components inside your device. Fortunately, there's an Android app that can help, shutting down some non-essential system tasks and background processes to give your handset the chance to cool off. You can choose from a one-tap quick fix or a more detailed manual mode. The app in question is EaseUS Coolphone and it offers several ways to wave a metaphorical fan in front of your phone's face. You can tap the quick cool button on the app's opening screen, via the app's one-button widget or from the app's entry in the notification drawer. After a few moments of scanning, you can choose to apply the changes suggest by the app. 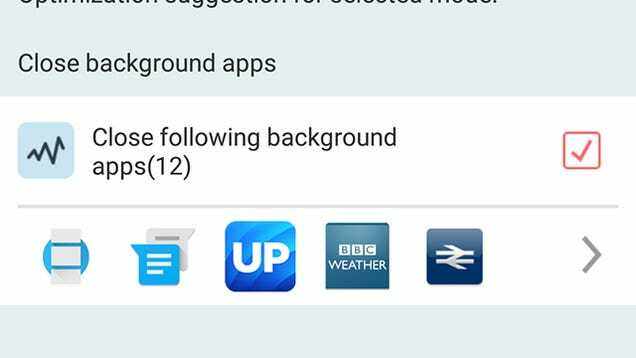 It will look for apps running in the background that don't necessarily have to be there, as well as settings that can be turned off to reduce the work your phone's doing. If you find these changes too aggressive—or not aggressive enough—then you can set up a custom mode that does exactly as you ask (this too can be enabled and disabled with a single tap). The app also lets you quickly get at settings like brightness, Wi-Fi and GPS that can burn up plenty of battery juice, and set a white list of apps that you want to always keep running (like your fitness tracker app perhaps). The times that we put EaseUS Coolphone through its paces, it came through with flying colors—Cooler Master is another similar app that's well reviewed.